2. 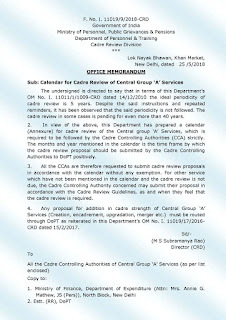 In view of the above, this Department has prepared a calendar (Annexure) for cadre review of the Central group ‘A’ Services, which is required to be followed by the Cadre Controlling Authorities (CCA) strictly. 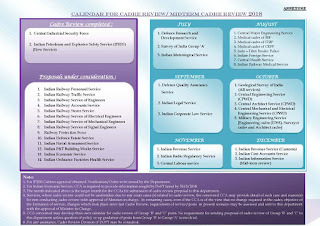 The months and year mentioned in the calendar is the time frame by which the cadre review proposal should be submitted by the Cadre Controlling Authorities to DoPT positively. 4. 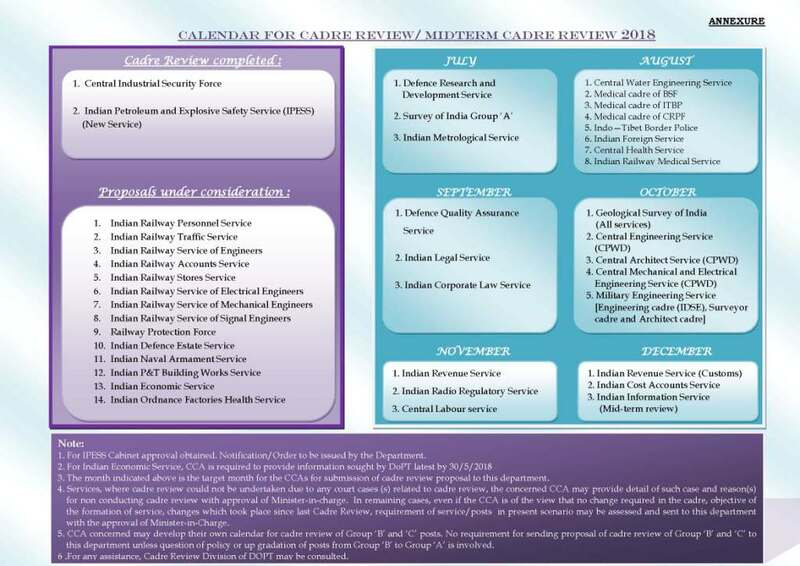 Any proposal for addition in cadre strength of Central Group ‘A’ Services (Creation, encadrement, upgradation, merger etc.) 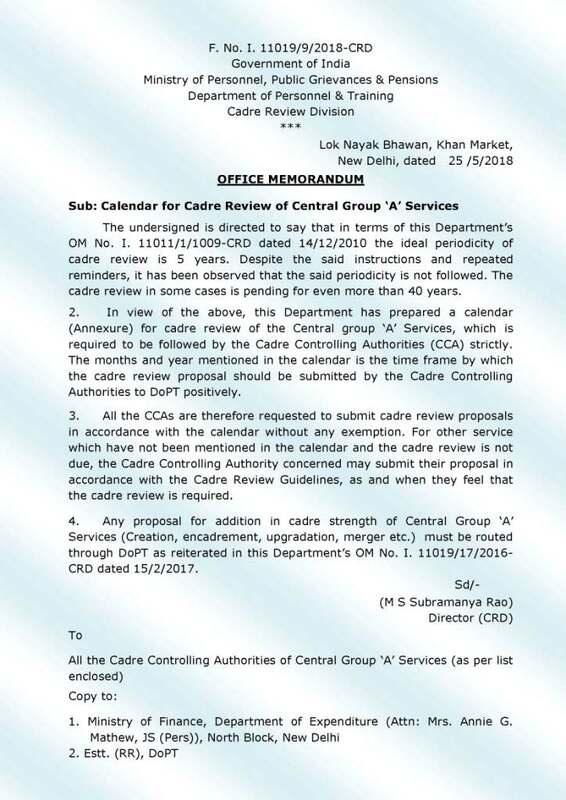 must be routed through DoPT as reiterated in this Department’s OM No. I. 11019/17/2016- CRD dated 15/2/2017.